This is the third book in the Violet Mackerel series. In this book Violet explores her theory of Helping Small Things and helps her sister with her natural science project. I enjoyed reading about how Violet and her sister Nicola worked together. The illustrations by Sarah Davis are very detailed and help to make sense of the story. I would recommend this book to girls aged 6+ who enjoy reading stories about children their own age and science. The hardcover makes it a good present to give friends who also enjoy reading. 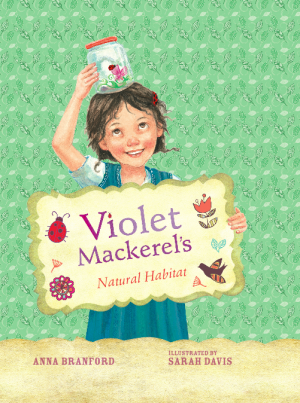 I am looking forward to reading more Violet Mackerel books in the future. * Eliza is a member of our Undercover Readers Club. A review copy of this book was provided by the publisher. 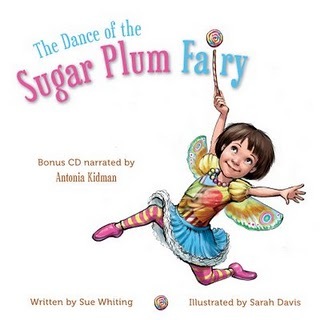 Dance of the Sugar Plum Fairy, by Sue Whiting, illustrated by Sarah Davis. CD (included)* narrated by Antonia Kidman. Published by New Frontier Publishing. It’s a fairy tale book with a CD, about two adults that work as candy makers, their names were Marcus and Mary. The King comes and tastes the lollies, he loves them so much he says he’ll take fifty jars. Marcus was worried how they would make them in time and a fairy overheard. But will the fairy come to save the day? 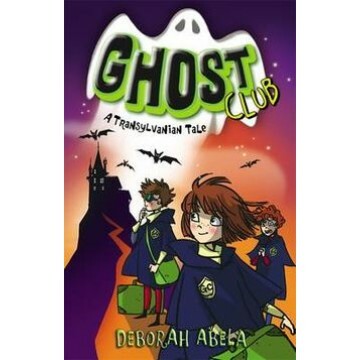 I liked the book because I liked the happy ending and the colourful pictures. 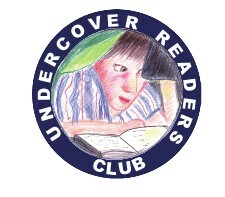 Olivia is a member of our Undercover Readers Club, a book reviewers’ club for kids. (The book was provided by the publisher, New Frontier Publishing.) If you or your class would like to join the club, you can download an information pack (PDF) from the magazine’s website. Membership is free!